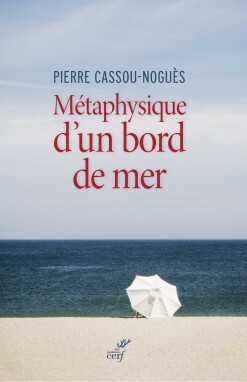 Entretien avec Géraldine Mosna-Savoye, autour de la métaphysique d’un bord de mer, pour Les nouveaux chemins de la connaissance, France Culture, 1er juillet 2016. Entretien avec Laurence Luret autour de la Métaphysique d’un bord de mer, France Inter, 19 juin 2016. Kafka’s short story, « In the Penal Colony », is centered on a complicate and rather mysterious machine. The inspector, and the reader, will never completely understand its function. But we know that it writes, it engraves the sentence on the body of the man convicted in characters that are in themselves undecipherable. The convict does not know his sentence until after it has been carved on his body, at the very end in fact, just before he dies. The machines of neuroscience are complicate and mysterious to us. Some of them are meant to spy our thoughts in our brains, or report our lies or recognize and read our biases (are we aggressive, psychopaths, racists, pedophiles?). We may not be conscious of these biases but the machine would spot them nevertheless. It seems that we have written on our body (in our brain in fact) in characters that we cannot read ourselves something fundamental about our person. Is it similar to chiromancy? For the believer, the lines of our hands meant something which was decisive for our future but which only an expert could read. Of course, chiromancy was a children tale, whereas neuroscience is science. Another difference may be that we have lines in our hands whether we try to read them or not. What about the neuro-traces of our biases? These strangely shaped red zones that appear on the colorful map of the criminal brain, did they exist before the machine was set into action? Or did the machine somehow impose them in the brain of the subject? Do we live in a penal (neuro)-colony? It is the question,I will investigate using several art works referring to the brain: a machine for reading thoughts that the Belgian writer Jean-Philippe Toussaint put up at the Louvre in 2012, several pieces from Gregory Chantonsky, and a recent film by Gwenola Wagon and Stephane Degoutin.